Muslim women love to be beautiful. They line their eyes with kohl, wear the finest perfumes, are always perfectly manicured…but those who are most devout can face obstacles. What if their cosmetics contain ingredients forbidden by their faith? Some forbidden–or ‘haram’ in Arabic–ingredients commonly found in cosmetics include alcohol, pig-derived collagen or gelatin, or pig derived fat. In fact, it could be argued that Muslim women should use only vegan brands, as their religion demands that they respect the environment God created, and should never harm or abuse animals for the sake of beauty. Step in halal (‘permissible’ in Arabic) beauty products. 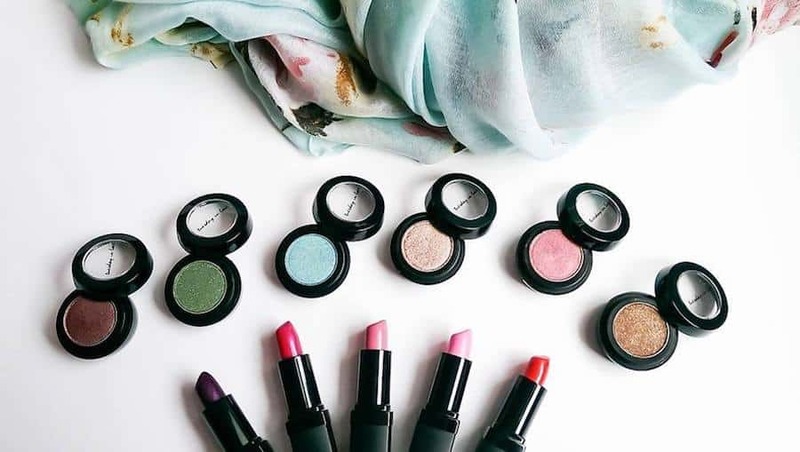 These are cosmetics that are sure not to contain any haram ingredients, and are usually also made by Muslims, and/or halal certified by a religious leader. What differentiates halal beauty products from mainstream or “organic” brands is that these brands may still contain trace amounts of haram ingredients, and may not necessarily be free from harmful chemicals such as parabens and sulfates. 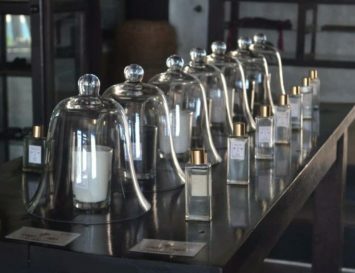 Fortunately, many halal beauty brands offer fabulous luxe options to enhance beauty regimens – appealing to everyone seeking a healthy and ethical alternative. 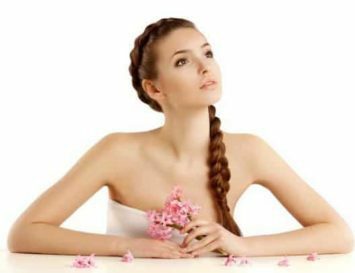 Here are highlights of seven innovative European halal beauty brands from Belgium, England, France, The Netherlands, and Turkey, all of which are all free from alcohol, swine-derived components, harmful chemicals, and are not tested on animals. 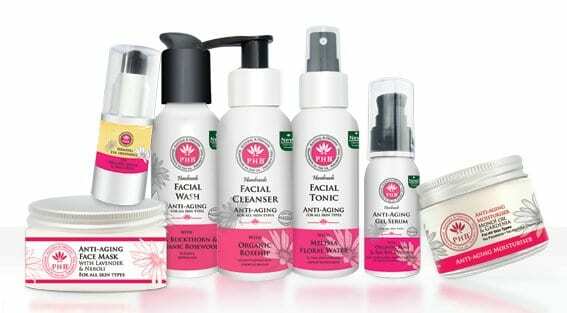 PHB Ethical Beauty was founded in 2012 by Rose Brown, a vegetarian, animal lover, and daughter of Jimmy Brown – 70’s British pop/reggae band UB40. 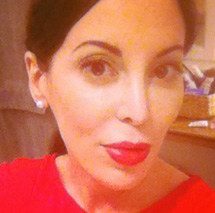 She discovered that there was a lack of vegan products on the market, which prompted her to create PHB, or Pure Health and Beauty. 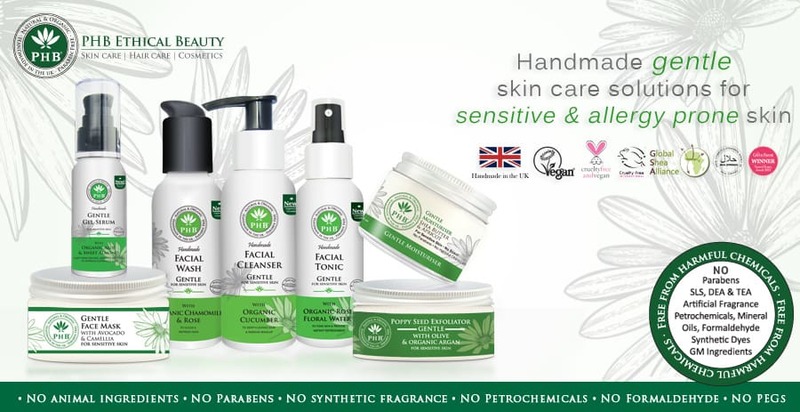 This Birmingham-based family business offers an extensive range of hand-made, halal certified [by the Halal Cosmetics Standards Agency UK], natural, and vegan-certified beauty products. There is a unique collection of natural remedies for treating skin conditions such as eczema and psoriasis, and all products are housed in minimal recyclable packaging with colour coded labels corresponding to specific skin types. The Halal Cosmetics Company was established in 2013 after Lancashire-based founder and “mumpreneur” Salma Chaudhry was diagnosed with breast cancer [she is now cured]. She discovered that the available skincare products on the market contained carcinogenic ingredients, and were not halal either. The Halal Cosmetics Company collection contains an innovative ingredient called “astaxanthin” which is derived from a microalgae. It’s a potent antioxidant which fights cancer-causing free radicals, and acts as a natural sunscreen too. This socially conscious brand also donates proceeds from the sale of their collection to the UK-based Macmillan Cancer support charity. Amara means “Eternal beauty, lasting forever, always existing, unfading” in Arabic, and that’s exactly the image wants their customers to have of their halal cosmetics. Modern design, colour palettes and high quality ingredients define this brand, which includes lipsticks, eye shadows, blushers, foundations, nail polishes and all the makeup goods you need make yourself pretty – without any animal ingredients, nasty chemicals or alcohol, of course! Another brand we love from this continent is Tuesday in Love. It was launched by a Muslim husband who became sad when his wife grew frustrated at the lack of Islamic beauty brands – he basically started one for her! Famous mainly for their non-toxic, completely breathable and porous halal nail polishes, the label has now branched out into all kinds of animal-and-alcohol-free colour cosmetics, too. Jamal Paris Cosmetique was founded by Chantal Japhet in 2006, who created a luxe line of skincare and mineral-based cosmetics. 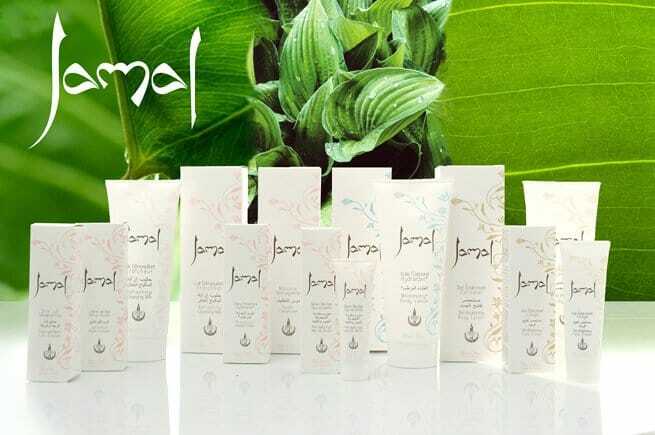 “Jamal” means “beauty” in Arabic, and some of the natural ingredients found in the Jamal Paris collection include sunflower oil, aloe vera, and rose water. An innovative ingredient in the skincare line, called “biowhite” complex, is a plant-based combination designed to promote even skin tone, and provides anti-aging benefits. Jamal Paris is scripted in an elegant arabesque text, and the skincare collection is housed in minimalist white packaging with a delicate floral motif, whilst the mineral cosmetics range is housed in chic high-gloss black lacquer packaging. The brand is also halal-certified by the Grande Mosquee de Paris. Mihri Istanbul is a luxury skincare line launched in 2012. Mihri, which means “sun” in Turkish, is a brilliant collection of natural origin-derived exotic ingredients such as calendula flower, carob tree, red seaweed, and decaffeinated green bean extracts. This collection of innovative cosmetics includes an anti-cellulite lotion, anti-wrinkle creams, a body hair inhibitor lotion, and an anti-hair loss serum. Mihri is halal-certified by the GIMDES Halal Products Research Institute of Turkey, and there are exciting plans to launch the collection in France soon, too. Whilst Poland has only a teeny weeny Muslim population, this is the land where one of the most popular Muslim beauty products comes from: Inglot. With prayers five times a day and a pre-prayer ritual that requires washing the hands and arms, traditional fingernail polish has been mostly off limits for Muslim women because it prevents water from making contact with the nails. 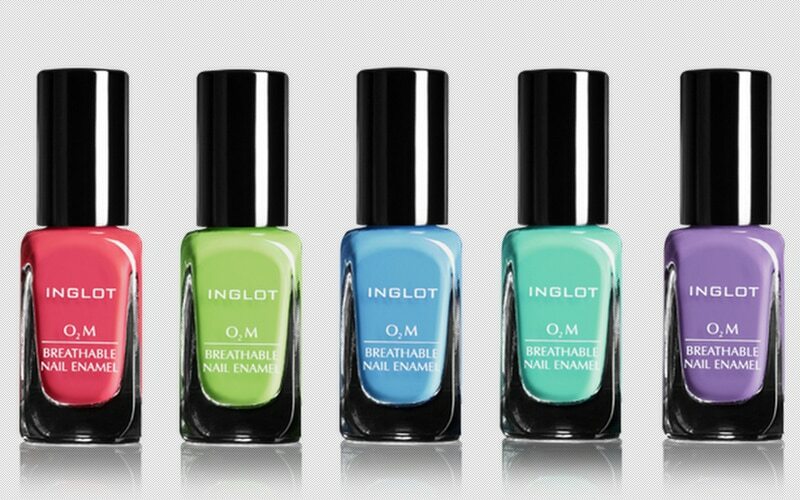 But Inglot’s revolutionary ‘breathable’ nail polish solves that problem. The polish is the first to let air and moisture pass through to the nail, and thanks to its permeability, it complies with Muslim law – and did I mention it comes in a whole rainbow of amazing shades? A very nice post I must say, and a rare topic indeed. Thumbs up, Eluxe! You should definitely give Sea Of Herbs a try… beauty and cosmetic products for the entire family. Based out of Jerusalem, it is a brand that has been developed over a century by a Palestinian family whom for generations has worked in the field of spice, herbal remedies and such. The Halal Cosmetics Market is projected to witness significant growth over the forecast period, primarily due to the growing Muslim population across the globe. 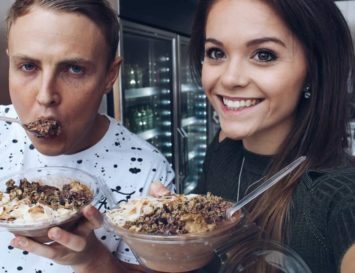 In addition, the growing population of absolute vegans worldwide is acting as another driver propelling the halal cosmetics market growth.Asia Pacific is expected to retain the largest market share for halal cosmetics market. The worldwide halal cosmetics market is estimated to grow at a CAGR of 6.0% between 2018 and 2026. Am desperate to find hair dye products please advice ?